This 2 hour 30 minute walking food tour of downtown Northampton visits 7-8 local food producers and specialty shops. Participants taste a selection of locally made specialties that include award winning cheeses, pasture raised meats, artisanal breads, frozen yogurt, handmade pastries, heirloom ciders and craft beers. Discover a thriving local food community in downtown Northampton. 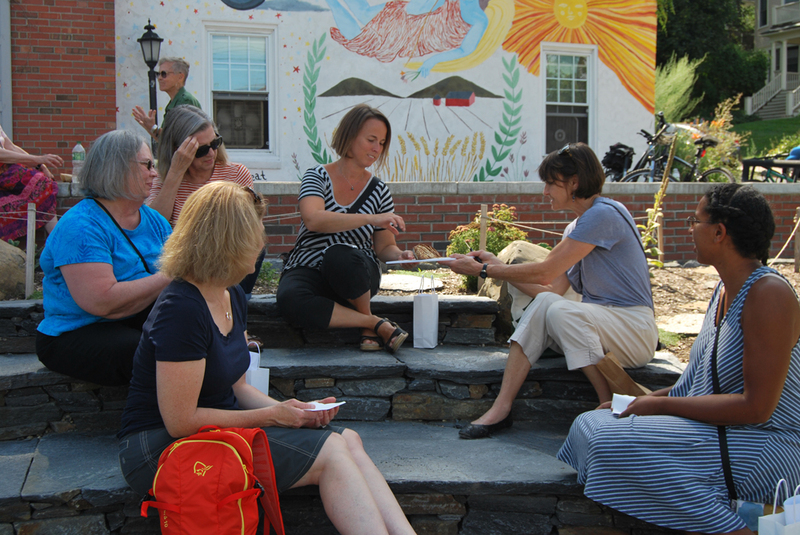 The Northampton Local Food Tour is offered on Friday from 2-4:30pm or on Saturday from 10-12:30pm. This food tour is $48.47 per person and includes the booking fee. Click on a date to see the tour offered. Click the tour name below the calendar to purchase tickets. Please be aware that food samples along the tour may contain allergens. While we strive to be aware of all sample ingredients, please make choices to accommodate any existing food allergies.